Leaving Donetsk, July 2014. (c) Dmitry Lovetsky / AP / Press Association Images. All rights reserved.A friend who moved to Kyiv from Luhansk showed me a photograph recently. She’d written a caption underneath it: “Spot the refugee”. The photo showed six children — two of them holding yellow and blue balloons — at nursery on 1 September, the day children start back to school. One of the children was my friend’s son. It was a new nursery school for him, and it was next to their new apartment. This new home had not been easy to find. One of the reasons for this was the family’s status as internally displaced persons (IDPs). Since the outbreak of conflict in eastern Ukraine in 2014, more than two million people have been displaced from their homes. Finding new homes, jobs, schools and generally making life continue has been hard for these people, and reception of them outside of the conflict zone has been mixed. In April, Kyiv’s International Institute of Sociology conducted a poll of people’s attitudes to resettlers from Donbas and Crimea. The results were relatively positive, ranging from 35% in the west of the country through 45% in the centre and south to 47% in the east. And 83% of respondents had not changed their views over the last two years. The poll produced some other interesting results confirming Ukrainian citizens’ support of IDPs. When asked whether internally displaced people are different from the local population and what forms the basis of opinion on IDPs, 40% those surveyed did not regard internally displaced people as any different, and 65% named mass media as their main influence. These two responses — public attitudes to the IDPs and the factors that influence them — are important. Social science doesn’t have a scale to measure levels of discrimination against any group. The nearest equivalent, and the one most often used by researchers, is the Bogardus scale, which measures people's willingness to participate in social contact with members of diverse social groups. Humanitarian aid centre, Kyiv, October 2014. (c) Emilio Morenatti / AP / Press Association Images. All rights reserved.When locals tell the pollsters that they are happy to have IDPs as plumbers, tutors for their children or tenants (categories included in the poll above), this is the real measure of social distance between groups in Ukraine today. And we shouldn’t ask whether these people are as much Ukrainian citizens as members of the local population. Coverage of the military conflict and policies relating to IDPs occupies a particular place in Ukraine’s media, as does the detailed examination of who is commenting on events (and how). So the picture the public gets of displaced people (and indeed the general political, social and economic situation in Ukraine) on TV and the internet depends on which interest groups control them. In this context, Ukraine’s regional media come out worst. They are often less professional and more inclined to generalise. Any mention of someone’s birthplace or family background inevitably means a sensational headline about disorderly settlers if it’s Donetsk, Luhansk or Crimea, guaranteeing thousands of hits on social media. The regional media also frequently resort to hate speech, which promotes a stereotypical generalised image of the IDPs as thieves, criminals, swindlers and separatists. This generic labelling is often based on a few incidents which are blown up out of all proportion. What is significant, however, is that over the last month, officials at Ukraine’s interior ministry have also begun to use similarly negative images and judgements when referring to resettlers. They draw explicit parallels between the number of IDPs and a rise in crime in the regions. This correlation of crime and numbers of IDPs is carelessly presented — interior ministry officials simply compare rising crime rates with an increase in resettlement in one or another region. The statistics do not relate to a specific number of charges brought against IDPs, but to reported crimes in general. Thus, on 23 September, Ukraine’s interior minister Arsen Avakov made a speech in which he listed the various reasons for the country’s rising crime rate. These included the economic situation, migration patterns and the conflict in eastern regions. According to Avakov, the crime rate had risen in Kyiv because of an influx of 800,000 “migrant-refugees”. Later, the interior ministry website claimed that these refugees were all from the Donbas, that there were two or three million of them and that, according to the minister, they were creating problems. Avakov’s statements were strongly criticised by NGOs involved with IDPs and human rights in general. And indeed the minister’s claims were at odds with reality. According to Ukraine’s ministry for social policy, there were 1,703,932 internally displaced persons in the country in September, 138,566 of them in Kyiv. It is also crucially important to distinguish between the terms “refugee” and “migrant” in relation to IDPs in Ukraine. The UN Convention relating to the Status of Refugees states that the term refugee describes only those people who have left one country and moved to another because the first country was no longer offering them protection. 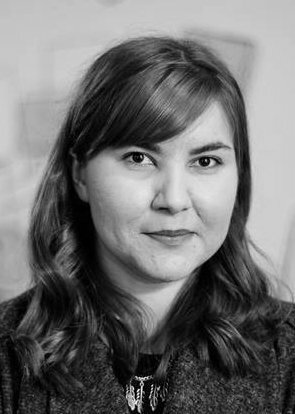 In the context of IDPs from the Donetsk and Luhansk regions, the refugee definition hangs on whether or not a public official supports separatist activity in the occupied areas and recognises pseudo-governmental entities such as the “Donetsk People’s Republic” and “Luhansk People’s Republic” — i.e. that the declared borders are, in fact, borders. 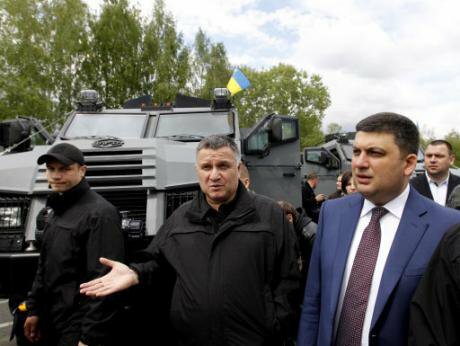 Ukraine’s prime minister Volodymyr Groysman and minister of internal affairs Arsen Avakov inspect armoured personnel carriers, 6 May 2016. (c) Sergey Chuzavkov / AP / Press Association Images. All rights reserved.On 8 October, more than two weeks after Avakov’s speech, the deputy head of Ukraine’s national police Vadim Troyan also spoke out on the subject of the IDPs. In an article published online, the former member of Patriot of Ukraine, a neo-Nazi paramilitary organisation, was more precise with his figures and terms, although his message differed little from that of Avakov, repeating the alleged correlation between the number of IDPs living in cities such as Kyiv, Mykolaiv, Odesa and Kharkiv and rising crime in their regions. Neither official mentioned that these IDPs were themselves frequent victims of swindlers and thieves (though later, on 13 October, Avakov did refer to this situation). And the problems they face are not just a question of everyday matters such as finding a home in a new town, a school or nursery for their children and relations with employers, but also the capture and abduction of family members who have remained in separatist occupied areas, and whose release often involves the payment of ransoms. This is beside the fact that Ukrainian law lacks legislation regulating the status of missing persons and POWs. The state system that exists to deal with the IDP situation is extremely ineffective. There are problems with social security benefits and the implementation of Ukraine’s law on IDPs, which theoretically gives people who have come from territories outside Ukrainian government control the right to accommodation. IDPs also have no right to vote in local elections. 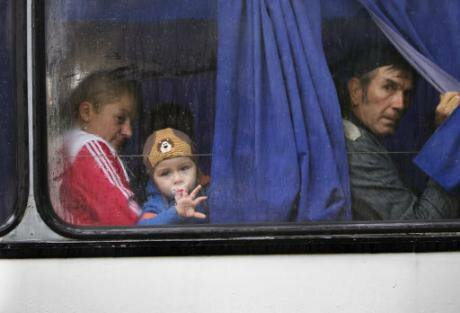 Displaced persons’ constant battle for recognition as real, rather than fake citizens of Ukraine leads them to return to occupied areas and towns such as Stanitsa Luhanskaya and Avdiivka, where fighting continues despite the armistice. Ukrainian society should resort less to judgements, stereotypes and their own prejudices when it comes to displaced persons. Instead, they should pay attention to the facts and the people who need their understanding. Negative government pronouncements, including hate speech against displaced citizens, hampers this process and increases the gap between different social groups — hardly what is needed in the current situation.